Autor: COSMOS4U - D. Vezeris & Co, L.P.
COSMOS4U transforms MACD into a powerful trading system using optimal parameters. The professional user can customize the system by various parameters so as to achieve optimal performance. Apart from the fast, slow & signal customizable parameters of the classic MACD, it is also enhanced with take profit and stop loss capabilities. Every week the COSMOS4U research department publishes new recommended parameters for the popular exchange rates in Forex market, for the hourly H1 timeframe. The computation method of these parameters is part of an academic research and by no means guarantees constantly profitable results. 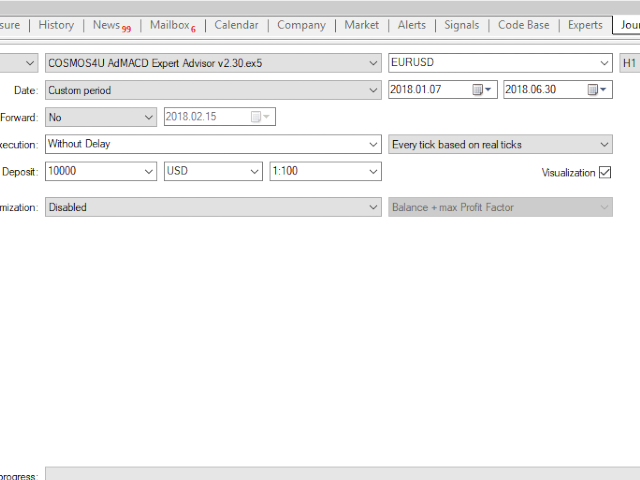 Using these parameters and downloading the free app, you can automatically update the AdMACD parameters in MetaTrader 5 and always keep abreast with the latest settings. Each time a position opens for a symbol, it checks its previous x (default = 12) values for its variability. 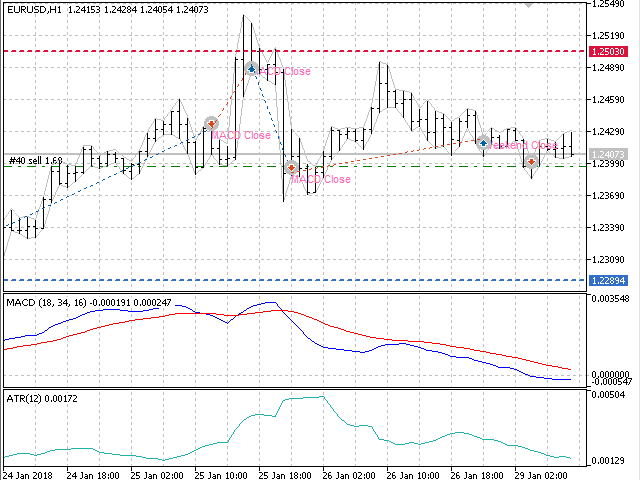 Based on this volatility, new zone boundaries are formed for Long-Stop Loss and Short-Stop Loss. This zone has variable width as ATR changes over time. The zone also slides following the price as it moves towards the profitable direction. When the price crosses the Stop Loss line, it closes the open position. 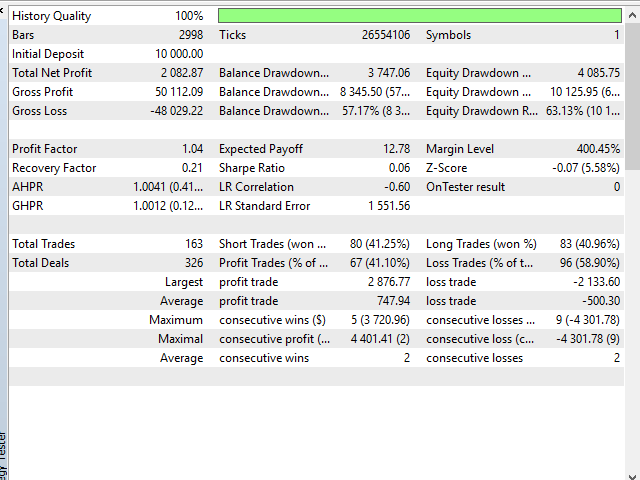 It will open a new position only when the value of the symbol exceeds the limits of the volatility zone. Avert great confusion and gaps between the closing price of Friday and Monday's opening, when governments, central banks and companies’ administrations announce important decisions over the Weekend. 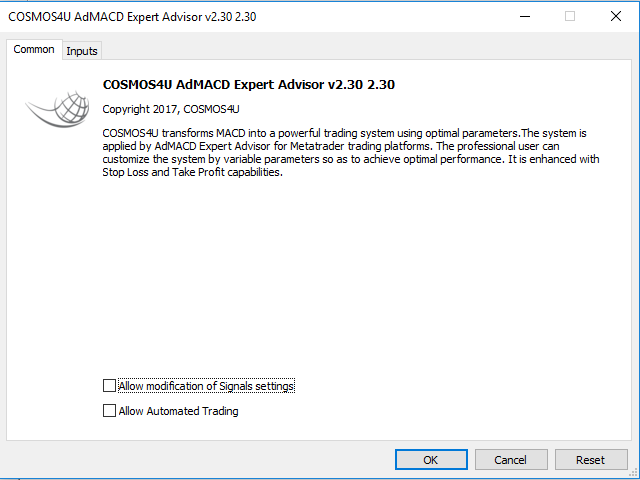 COSMOS4U AdMACD supports the regulation of automated closing of open positions at specific times prior to market close time. Likewise, every Monday, positions are opened a few hours after markets’ opening. With the integrated automatic AdMACD trading system you can control the percentage of your entire investment capital through the particular investment percentage per symbol. Consequently, the investment percentage per symbol can be diversified. The investment percentage feature along with the diversification of your portfolio shields your investment against market risk. 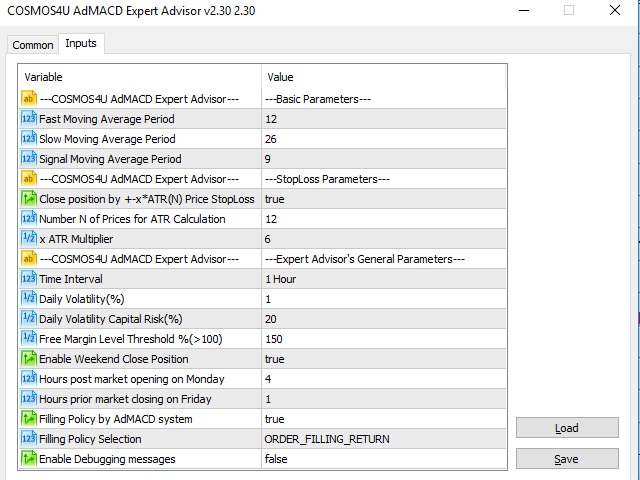 The AdMACD Expert Advisor was modified in accordance with the results of our latest research. The faster Take Profit Signal Line was discarded and the ATR StopLoss zone is now sliding and variable. A few bugs were also fixed. Using the Take Profit Signal Line, COSMOS4U AdMACD capitalizes profits. Its parameters are (f,s,g/divisor) and it should be faster than the Signal Line (divisor >1). Every time a cross between the AdMACD line and the Take Profit Signal line occurs, the system takes the profit without opening new trading position until the next AdMACD clear signal. Each time a position opens for a symbol, it checks its previous x (default = 24) values for its variability. 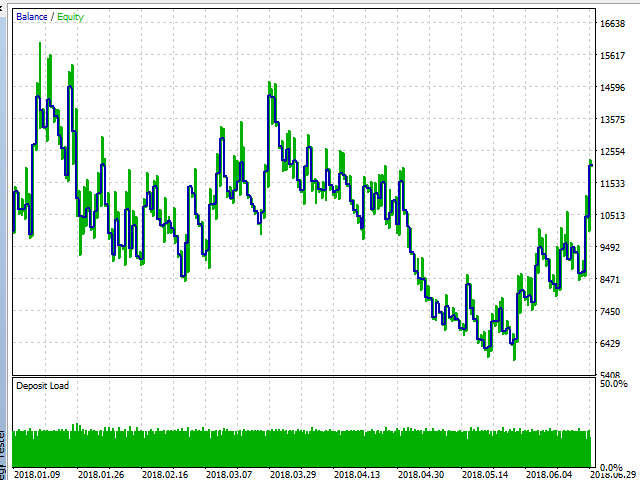 Based on this volatility, new zone boundaries are formed for Long-Stop Loss and Short-Stop Loss. When AdMACD crosses the Stop Loss opposed line, it closes the open position. It will open a new position only when the value of the symbol exceeds the limits of the volatility zone. Lots division by zero fixed. 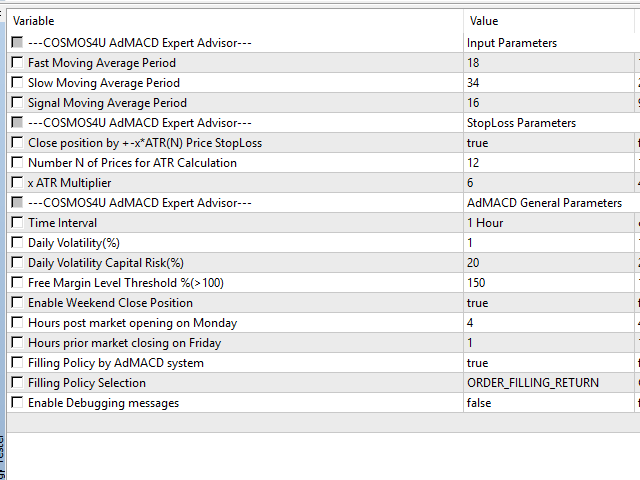 Autotrading for backtesting enable feature.